Program Strategist for Lifestyle Learning STEM Comic Book – Text Engine Consulting, Inc.
Alan Reade, the CEO of Text Engine Consulting, Inc., has joined Lifestyle Learning® as a Program Strategist. His responsibilities will be promoting the David: Software Engineer comic book and educational materials and helping to drive the venture-capital funding and crowdfunding efforts for the comic series. 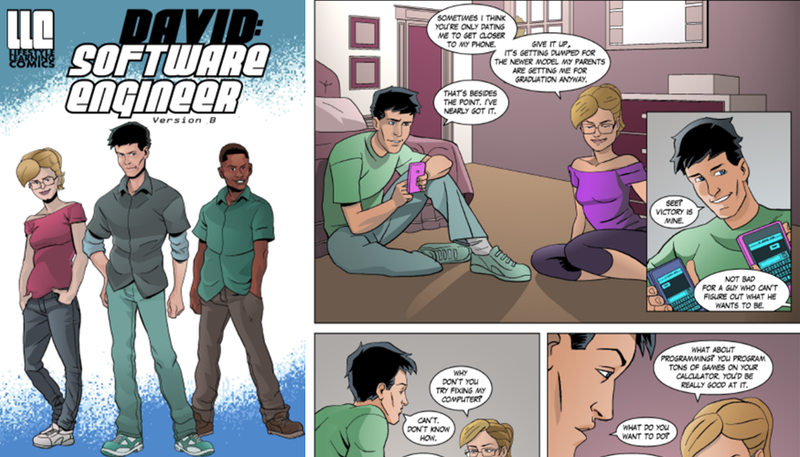 David: Software Engineer is a comic book aimed at middle-school and high-school students, particularly youths of color, in the United States and includes teaching tools related to the comics to make them ready for schools and other educational facilities that ready students for Science, Technology, Engineering and Math (STEM) careers. Text Engine Consulting, Inc. develops learning programs for the tech and biotech industries and produces independent films and web series. As part of its educational outreach effort, Text Engine Consulting, Inc. has created a volunteer speakers’ bureau in Los Angeles to hone job skills among at-risk youth. Supporting the Lifestyle Learning® effort to bring more inclusion and diversity to STEM education is a natural next step in educational outreach for Text Engine Productions. The Lifestyle Learning® mission is to create innovative products that allow young people to experience learning and career success. Paris Gamble, the founder of Lifestyle Learning®, assists organizations in installing and configuring Enterprise Resource Planning systems. The concept of Lifestyle Learning® began in his attempt to talk to his 16 year-old son about focusing on STEM careers. Click here for more about Lifestyle Learning®. Click here for more about the David: Software Engineer comic. Click here for more about Text Engine Consulting, Inc.